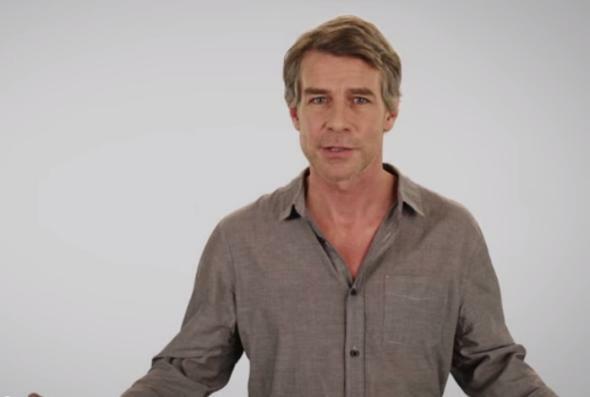 Trivago Guy: what modern men can learn from this enigmatic weirdo. Trivago Guy’s confident, beseeching gaze. Have you gotten out of town at all this summer? Any weddings? Country weekends? Did you, perhaps, accept the invitation of a faintly sleazy old dude to visit a greasy beach? Was it Trivago Guy? OMG—you’re hanging out with Trivago Guy? He’s a weird cat! Trivago, the Düsseldorf-based travel search engine, has a most peculiar on-air pitchman—a sallow avatar of middle-aged masculinity, a found object and a cult item, an accidental enigma. Just look at this guy. The voice is deep with command, round with Shatnerian ham gravity, rich with a Peter Graves graininess. The eyes are beseeching but confidently steady. The clothes have been woken up in. The man is seedily creased, grayly stubbled, distractingly beltless. He may be looking for a hotel after coming home at 3 a.m. to find that his wife changed the locks. These unusual ads have been attracting baffled notice for a while, but now is the season for big travel-industry ad buys, and the Trivago pitchman is, unlike the blades of his rotary shaver, in heavy rotation. Some viewers find his ubiquity annoying, while others fail to succumb to annoyance because they are entranced by his skeevy vibe. Who is he? Why should I trust his judgment? What is his profession? Record producer? Is his travel-planning wisdom born of bitter experience? Has he got any drugs? How did this oddity come to pass? The most likely explanation? Trivago is not very good at advertising itself. Consider its very name, which is somehow vaguely medical in its evocations. Compare Trivago Guy’s general air of inappropriateness with the company’s London Underground campaign. The posters offer unfunny fake etymologies arranged as awkward convolutions of questionable taste: “In the language of the Czechs,Trivago means ‘saver of time by searching huge amount of booking websites to find ideal hotel.’ ” Rolling Stone reports that the company discovered the actor in the part, Tim Williams, through his work as a soap-opera actor in Germany. I sense that something was lost in translation as the character strutted to the American airwaves. He’s like a garbled phrase, a failed construction of “cool,” and his cluelessness is riddling.